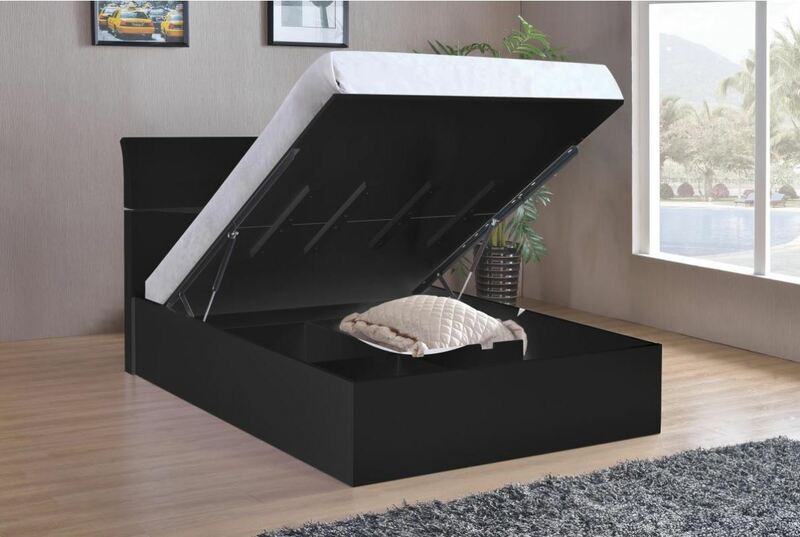 The Arden Storage Bed is the perfect answer to Sleeping and Storage issues. Simply use the Hydraulic piston lifting-system to reveal a large storage area underneath the bed. Create a minimalistic room-design and keep all your belongings organised and safe. 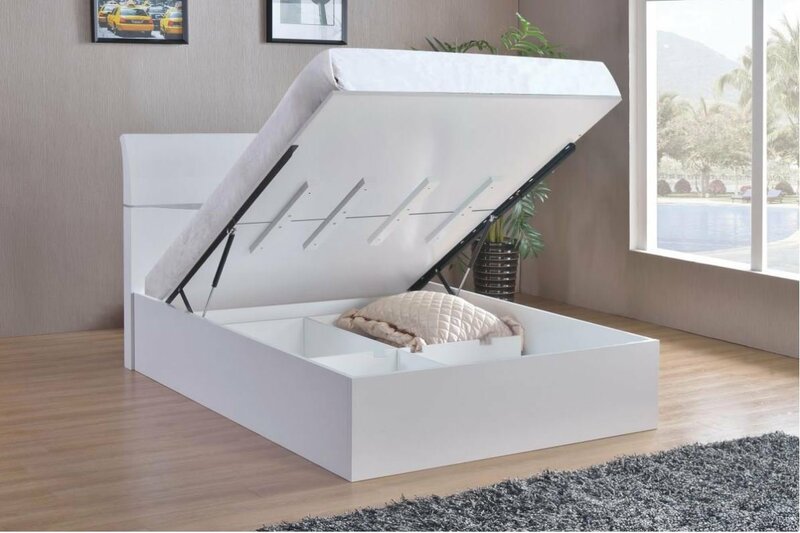 With a clean, box design on the outside, the Arden Storage Bed is Modern both visually and technically. Also available in Double-Bed size for larger rooms. Availible in Black, Cherry and White Colours.